Our translation is Souvlaki (ΣΟΥΒΛΑΚΙ) “The Kostas” (Ο ΚΩΣΤΑΣ) on Adrianou St, 11. (Αδριανού) in the Plaka. It’s one street north of the street where the Museum of Greek music instruments is. Why did we like it? Because the ingredients were fresh, the preparation honest, and the flavors good. We went twice to this stand (really more of a little shop with a window on the sidewalk). Last night when we arrived in Athens we were wondering what was going on in the street near our hotel (the Cathedral on Mitropoleos Street). There were crowds trying to get into a church and the police were controlling the number of people who could go in. It continued well past midnight and we stopped paying attention and went to bed. The next morning we got up and walked to the Acropolis, but there was nobody there! Then we found out that all of Athens was shut down in mourning because the archbishop of Greece had passed away. We were cranky and selfish for a few minutes but then realized the significance of the event for Greeks and snapped out of it. We decided that we could still have a good time just walking around. So that’s what we did. Athens is a big city, but at the heart of it there are a surprising number of green spaces. First we started on Areopagus at the foot of the Acropolis. Then we headed to Filopappos Hill, west of the Acropolis, getting great views of the Acropolis and sampling the wild arugula. Then we walked around the Pynx, a little bit north. We grabbed a few souvlakis (see this post) and then hung out around the National Gardens, east of the Acropolis. In the National Gardens we dropped into a café for about an hour for some sipping and talking. Finally, we headed over to Lycabettus Hill and after a sweaty little climb were rewarded with a sunset view of the whole city. On whole, quite a bit of walking that was enjoyable for getting a sense of the city. Don’t miss walking pass the Royal Palace or the Parliament Building to catch sight of the ceremonial guards with their huge tasseled-shoes. End around twilight in the busy Syntagma Square as people hustle to get home, meet friends, or stop at a café. By the way, the “Tax Free” map (that a part of is shown below) was one of those maps they hand you at the hotel, but it was easy to carry around and unfold – adequate for exploring. Nothing cramps my touring-style like an unwieldy map. I never really read the Peanuts comic strip (“la striscia”) in English and in fact avoided it. The other day in the Edison bookstore I picked up this book (Povero Charlie Brown or Poor Charlie Brown, #2 in a series) and got hooked on it. For some reason, the Peanuts seems funny to me in Italian whereas it didn’t in English. Maybe I wasn’t mature enough to enjoy it all those years ago? Panel 1: Le formiche mi affascinano. Panel 4: Io sarei una pessima formica. Now isn’t that funny? The word peanut could have been translated into “noccioline” or “personcine” but I guess they decided to leave it as is. I Tarocchi is a pizzeria located between Piazza dei Mozzi and Piazza Demidoff on Via dei Renai 12/14. It’s in the San Niccolo neighborhood. It’s a popular place for pizza. I found the piazzas a bit undercooked, but that’s a personal preference. In Italy, in a restaurant, you eat pizza with a fork and knife. So if the pizza is not firm, no problem. I like to use my hands and a soupy pizza is a challenge. We went a second time and had the ribollita and side dishes of spinach and eggplant. For me, that was a better choice. If you are looking for something informal and reasonably priced in the Oltrarno, then try I Tarocchi. There are two companies that provide taxis in Florence: Radios Taxi (CoTaFi) (link)and Taxi Socota (SoCoTa) (link or link). Radios Taxis can be called with 055-4390 or 055-4499. Taxi Socota can be called with 055-4242 or 055-4798. We’ve used one, but I think they are about the same. By “on-the-ground” we mean being in Italy and visiting the places your relatives came from. There is a lot you can do online and via e/mail which isn’t discussed here. A few tips that we developed on an 8 day trip to Piemonte are shown below and broken into two sections: anagrafe and cemetery research. We’ll be doing more family research outside of Rome and in Palermo in the coming months, so we’ll test these ideas furthers to see if they need tweaking. It helps if you can speak a little Italian. Useful terms are, 'Atto di Nascita' (birth certificate), 'Atti di Matrimonio' (marriage), 'Certifica' (certficate), to ask where the cemetery is ("Dove il cimitero? "), and to describe how a person is related to you, "bisnonno" (grandfather), etc. If you don’t speak any Italian, have good documentation that someone can follow easily or perhaps hire someone to help. In Italian, relatives are “parenti” and parents are “genitori” - so you might want to get them straight when asking. The records are organized by date. So having the precise birthdate or marriage date handy is a real winner. Note that the public records only go back to 1860 or so when Italy was unified as a country. Before then, parish (Parrocchia) records are your best bet (see below.) Also note that these records exist as large, hand written ledgers maintained independently in each town. In other words, you need to visit the anagrafe office in the specific town where the birth or marriage event took place. The public records offices "uffizzi dello stato civile" are usually located near or in the equivalent of the town hall (e.g. “uffici comunali”) and the specific office for birth and marriage records is typically called the “anagrafe” office. Try to find out the hours before you go. For example, some offices are only open Monday, Wednesday, Friday. And most only from 9am to 12:30. You might take a picture of the office’s sign with the hours so you can remember it later. Don’t walk in 5 minutes before lunch. Give them ample time to find the records even if it only takes a few minutes - it’s about respecting their time. In many of our experiences, the anagrafe worker simply walked into an adjacent room and took out a huge book and located the information within 2 minutes because we had very precise information on dates and names. By the way, some offices will let you feel and touch the book, maybe even photograph it. If you do, put a sheet of paper over other people’s info out of respect. Other offices won’t let you near the book, but may photocopy the page for you. Ask. Having the full record (as presented in the book) along with the typed-up or extracted information "Estratto", is preferred. There is often interesting information in the margins of the original document. However the 'Estratto' (extraction), signed and sealed by an 'officiale dello stato civile' is what you would need for official purposes. Usually the anagrafe person will walk through the certificate with you. This is important (and this is where your Italian language skills can really help) because they can elucidate finer points of the information. The records are often written in a fancy script which is hard to read. For example, they helped us clarify information about the “frazione” or district of the city a relative came from. In another case, they knew the terms “celibre” or “nubile” on a marriage certificate that looked mysterious in script lettering. In other cases, they may point out where someone was born or what cemetery they are likely buried in. One document (like a birth certificate or marriage certificate) often contains valuable information about the person or persons you are researching or their family. For example, on one marriage certificate we obtained, we discovered that the parents had lived in a town that we hadn’t considered. That then informed our cemetery searching. Allow 1 day for every office or town you wish to collect information in. That includes birth certificates, death certificates, marriage certificates, baptism records, finding tombs, etc. Be patient. If you don’t get what you want the first day, you may the next. Be prepared to have the results sent to via mail. When you walk into any office, don’t present a heaping pile of papers and expect the person behind the desk to figure it out. Be as precise as you can. 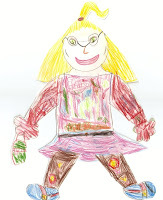 Write the information down, legibly, on a piece of paper you can hand over. If the person wants other information, be ready to present it. We’ve found that everyone we encountered glad to help and interested in what we were doing and why we were doing it. Besides anagrafe offices, there are parish offices "parrocchia" which can contain information. In one case in Ceva, we obtained the baptism record of an orphaned relative. The two ladies there were super nice and so pleased that people were looking up their ancestors. We didn't just stop there on a whim though. The anagrafe office had directed us there. So, start with anagrafe office and if you need more info, ask if the parrocchia might have it (if they don't already suggest it). Grab a map of the city when you go into city’s public offices. 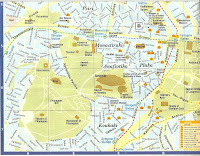 Almost every anagrafe office we went to had a map of the city which showed churches and cemeteries. This will be useful in your cemetery hunt. Cemeteries have hours too! It depends on the town/city. Some are open continuously from 8 am to 6pm with no attendants. Some were around lunch – usually these are the ones with a custodian. A town or city may have many cemeteries. The one of interest depends on many factors like where in the town the relatives were born or lived. Sometimes you just have to guess. Walking into cemeteries, you may notice the same names over and over. If you don’t see your family name anywhere you could just be in the wrong cemetery. That happened to us in Cherasco which had several cemeteries. We went to a cemetery in the frazione San Bartolomeo of Cherasco because that’s where a relative was born and that’s all we had to go on. In the cemetery (which was small) the names were not at all similar and it became apparent that this particular relative wasn’t here. Later we found other information through marriage records that the correct cemetery was in Ceva . Be respectful. Be quiet, walk slowly, and don’t touch everything. Yes you have to peek into larger family tombs to look for names, but be courteous. Don’t walk on the grass or on top of graves. Bring good walking shoes, pen, paper, your documents, and a camera. If there is a custodian of the cemetery, ask if there is a list or registry of who is buried there. This greatly helped us in Ceva. It shaved hours off our search. You'll need the approximate date of death. If no one is in the cemetery to assist, organize you search logically. Assuming there are two of you, you might split up and search the big family tombs first by reading the names on top first (without reading the individual tomb names). Then hit the wall tombs, then maybe the ground burials. It depends on the setup. If you locate a tomb of interest. Pull out your paperwork and either confirm or deny the relevancy. Don’t linger over something trying to decide if it is interesting or not. Take a photo of the tomb and figure it out later. In the beginning, we found that we were so interested in finding anything at all, that we were spending time deciphering tombs which really weren't relavent. Part of this stems from the fact that each town or region tends to have concentrations of specific family names and it was a bit overwhelming at first to see a normally rare family name almost everywhere we turned. On each tomb or marker, there is usually a photo, take a close up picture of it if you can. Use a ladder to reach high tombs. Ladders are scattered around. Put them back in the correct location. Take a picture of the cemetery layout (usually published by the front gate) for later reference and perhaps annotate to show someone else where the tomb is. Or record the location or reference number of the tomb. 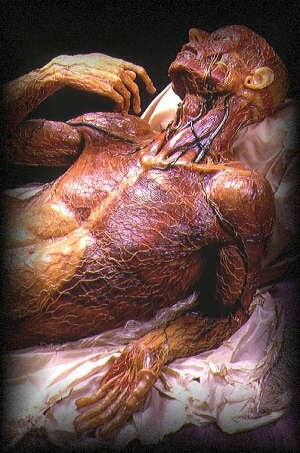 In space constrained cemeteries - which is most of Italy, bodies may be exhumed after some period of time (20-25 years). If at the time, there was no interest from the family or perhaps money available, the remains may have been placed in a common bone vault. To help determine if this is the case, given a date of death, the cemetery records can help determine when or if the person was exhumed and moved. Osteria Boccondivino is located on Via Mendicità, 14 in Bra in Piemonte. This was our second visit there; the first visit was 6 years ago. The food and the service didn’t dissapoint. This restaurant is of course famous as the place where the Slow Food movement started. I had the small tasting menu of four courses (antipasto, primo, secondo - rabbit, dolce) and Mark chose four courses a al carte, with a secondo of goose. The hotel is located south of the town of Dogliani on a hill in a nice position. For most of the time, it was just us, I guess you can say, very low season. While not apparent from the outside or even to guests in the hotel is the fact that underneath the buildings is a complete wine making facility which you can a tour. La Lumaca via S. Pietro (cross street via Cavour) in Cherasco was our first meal in Piedmonte. “Lumaca” means “snail” and you can probably guess what was on the menu. Don’t despair if you don’t like snails (like me) because there is plenty of other good things to eat. Mark had a tajarin (pasta) with sugo di lumache followed by a lamb dish. I had ravioli with burro and salvia (how boring!) and roasted rabbit with its liver (rather large) with potatoes. The service was good, and in particular the waitress this night was the kind you wish for every time you go out: friendly, knowledgeable about the food, and speaks in Italian when she could easily have gone to English. Apparently, Cherasco is the snail capital of Italy, though snails are not raised and harvested in the region because it is too cold. We were based in Dogliani for all 7 nights at Poderi Einaudi. From there we visited many towns for pleasure and for research purposes including Ceva, Cherasco, Magliano Apli, Carru, Alba, Bra, Murazzano, Villanova Mondovì, Saluzzo, and Barolo. We basically concentrated on the Roero – Langhe region (lower Piemonte). The weather? A little fog, but generally bright, sunny days. The ground had snow on it but the roads were clear. So in sort, pretty nice weather. Finished the second project at the mosaic studio. I’m more pleased with this effort. 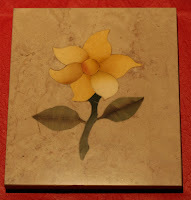 It still has a way to go to be more naturalistic, but there is always the next project…. This morning we called around 10am for a Noon appointment to see the Brancacci Chapel – appointments are required. The visit began with a ½ hour film and then the “allowed” 15 minutes in the actual chapel. Being low season, everything was pretty empty and there wasn’t much pressure to hurry through as there might be in high season. I think there were two other people watching the film with us and one other person who came in to view the chapel. Overall, we really liked the chapel and the whole experience. Tickets are 4 Euro a person. Whoever is running the show there has figured out how to provide a good experience. The film alone was really interesting; it used animation interwoven with street footage, music, narration and detailed photos of the frescoes in various phases of analysis and restoration to walk you through the stories presented and their context through the centuries. When we saw the actual frescoed chapel, we could rattle off the characters and the meanings of this or that. It was a rich experience (from the bookstore, to multimedia, to the actual viewing) which would be nice to see more museums finding ways to emulate. There's a growing trend toward charging admission in many of the major duomos. And with this, much more activity around conserving and restoring their collections, the installation of museum quality lighting for the works and/or architecture, providing docents, and in some cases producing excellent interpretive installations. There's a delicate balance to strike between being a sanctuary for people coming for a moment of peace, and for lack of a better word, being a museum. Some do it very well. So what is the Brancaccio Chapel? It is a small side chapel in the Church of Santa Maria del Carmine. 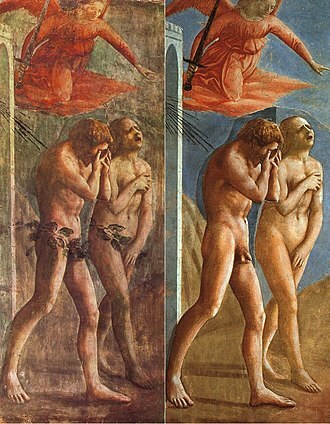 The chapel’s decoration was commissioned by the Brancacci and was painted by Masaccio (1401-1428). The chapel’s frescoes and other works by him were highly regarded for the elements of humanism they introduced which in turn became inspiration for other masterworks such as Michaelangelo's Sistine Chapel. In the Brancacci Chapel, the stories revolve largely around the life of St. Peter. Official Chapel hours can be found here on the Comune di Firenze site for the Cappella Brancacci’s web site including a phone number to call for reservations. Villa Medicea di Poggio a Caiano or the garden of Lorenzo the Magnificent was today’s destination. 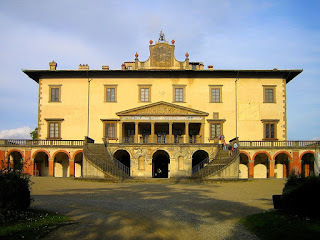 This Medici villa is located about 30 minutes (by bus) from Florence (main train station). Take the Cooperativa Autotrasporti Pratese (the CAP autolinee); they are blue buses. It costs about 2 Euro one way. Pick the bus up at Largo Fratelli Alinari, 9 which is what Via Nazionale becomes close to the station. Watch the clock or signs or ask the bus driver which stop to exit the bus. There is a stop right in front of the Villa. Beware, on the way back, the correct bus stop is not simply across the street since it's a one way in front of the Villa. Walk back down the hill until you get to a two way street and take the other one way to find the bus stop. I think it is called Via Ardengo Soffici. Look for the blue bus stop signs. So the Villa, come era? The gardens (being winter) were not overly interesting. Overall, I think Petraia or Castello would be nicer garden experiences at all times of the year. But, in this Villa, you can go inside and see the ground and first floors every hour on the half hour. It’s not really a guided tour, though you can ask questions. Afterwards, we lucked out because a couple in our tour (really it was only us four) had made a reservation for il Museo della Natura Morta (still life paintings) which is on the 2nd and top floor. (Not sure if this is the case always but call ahead if you want to see this exhibit.) Their reservation was good enough for us to tag along. You get an hour to see the exhibit. There are pretty good descriptions in English and Italian. Oh, and the museum doesn't charge admission. The still life paintings are amazing to see and according to the Comune di Poggio a Caiano, the only museum of its kind in Italy and Europe. The Medicis collected an incredible number of still life paintings. A group that really stuck out for us were a set of paintings by Bartolomeo Bimbi (1648 – 1723) in room 12 “Citromania medicea” and room 13 “il Casino della Topaia”. In these paintings there is a great intersection of art of still life and science (kind of a geek out moment for us). 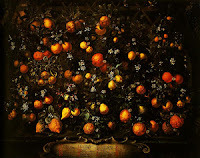 In one painting in room 12, several dozen varieties of citrus are presented with tags leading to a legend in the bottom of the painting – 'a citrus mania.' 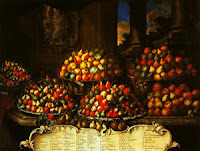 In another painting in room 13, dozens and dozens of pear varieties (grown on the Medici estates) are shown again with a key identifying them. Because of their accuracy, and the fact that many of the varieties depicted no longer exist, the paintings were and still are leveraged by botonists. The Home Citrus Growers (out of the UK) has a page on the Medici Citrus Collection. Il Santo Bevitore is located in the Oltrarno on a street which runs parallel to the Arno, but one street south. It has a nice feel inside, roomy with plenty of space to stretch out. The lunch menu was fairly simple in regard to choices (preferred by me, less choice is better sometimes in a restaurant). We started with an antipasto of salumi and formaggio with a terrific mustarda di pera, I had a nice, thick zuppa di cavolo nero, and Mark had a risotto con radicchio e salsiccia. Basta. Less of a deal (in our opinion) was the 2,70 Euro for the cloister. You exit the church and head around to the left of the facade . (Why not make it a combined ticket?) There just isn’t that much to see there. Okay there was a room or two of reliquaries and ornate robes, but unless you are a diehard fan of that kind of stuff, skip it. There are a number of good sites that list all the museums in Florence. For example, just put “florence museum” into a search engine and enjoy, for example. Being in Italy now, we find it useful to search for keywords in Italian. The same query above would be “firenze museo”, for example. Also, when you are in a cafe or restaurant pick up the little guides that may be lying around. One we've found to be especially useful for the winter season is called “Inverno a Firenze” having a good list of events with descriptions both in English and Italian. The “APT” or Agenzia per il Turismo di Firenze has an office at Via Cavour 1/r. It's about a “block” (no such thing here) north of the Duomo. Their virtual address is http://www.firenzeturismo.it/. They publish a nice list that isn't easy to find on their web site. The physical sheet of paper is much easier to use (shown above) and can be picked up at that office. Trattoria Mario (cucina casalinga) at Via Rosina, 2/R is off the west corner of the San Lorenzo market. After a few hours in the Basilica di San Lorenzo and it being a rainy afternoon, what is one to do? Eat a big lunch of course. We headed over to Trattoria da Mario. Mark had zuppa di ceci (chick pea soup) and lingue con salsa verde (tongue with green sauce). I had risotto con polpo (risotto with octopus) and maiale arrista (nice cut of pork). We split patate fritte (french fries) and had Vin Santo and biscotti. It was quite a hopping place. You can share a table with others (much quicker) or wait for your own table (not very many are available). We sat at a table with a French couple (friends) from Paris that we had a nice conversation with (in English). As we paid up front, one of the owners showed us their coveted Slow Food Ottavino d'Oro award. The Museo di Geologia e Paleontologia (Via La Pira, 4 – look for the banner just north of the Piazza San Marco) is part of the Museo di Storia Naturale di Firenze. We’ve been to the Giardino dei Semplici and the Zoologia “La Specola” so we thought we’d try this museum. It was a bit of a letdown. Not sure why, it might have been we weren't in the mood for fossils or that the museum attendent had the personality of a fossil. The collection, while not nearly extensive as the zoological museum was still interesting to look at. The other two university museums are a better value, especially La Specola. We’ve been slowly working our way through these excellent documentaries from the BBC. What do they have to do with Italy? Nothing, but we are gonna mention them anyways. The videos are freely available on the web. They are both BBC documentaries by Adam Curtis. 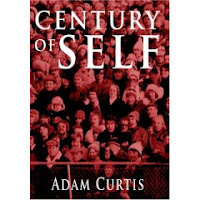 The first documentary, “The Century of Self”, is about “how those in power have used [Sigmund] Freud’s theories to try and control the dangerous crowd in the age of mass democracy.” The second documentary, “The Power of Nightmares”, discusses the similarities in the rise of the Neo-Conservative movement and the radical Islamist movement. In the respective wikipedia pages, scroll down to the bottom to find the links. Today we visited Il Battistero, or the baptistery, which is the oldest building on the Duomo complex. It is also called the Baptistery of St. John. Baptisteries can be part of the main church or a separate building as in this case. These spaces or structures reflect the importance of - you guessed it - baptism to Christians. (For the record we have yet to see one being used.) This baptistery is particularly famous for its three sets of bronze doors and its mosaic ceiling. Here is more information than you might possibly want on these items. It’s no accident that the inside of this building “feels” like the Pantheon in Rome. After observing the somewhat uneven procession start, we dropped some groceries off at home then headed for the Duomo. The whole procession ends up inside the Duomo where they ultimately march by Mary and Joseph and the baby Jesus. But not before a round of Christmas carols (at least this year) like “White Christmas”, “Happy Xmas (War is Over)” (By John Lennon), and the rousing gospel “Oh Happy Day” – by a choir of school girls. Interesting. If you want a “front row" seat (everyone stands) then you might want to enter the Duomo before the procession does. Folks did make way for smaller children and their mom's who all sat up front where the action was. This was a free exhibit put on by the Museo di Storia Naturale of the University of Florence. The exhibit highlights the relationship between bears (“orsi”) and shamans (“sciamani”). In particular, the exhibit focused on the Ainu people of Japan and the Laplanders of Northern Europe. The contributions of several key Florentine scientists are highlighted including Fosco Maraini (1912-2004), Arnold Henry Savage Lander (1865-1924), and Stephen Sommier (1848-1922). The exhibit ends on the 29th of February, 2008. The Duomo is one of the fanciest we’ve seen. And, we’ve seen a few. Yet it isn’t gaudy and indeed, quite pleasant to visit. The black and white marble design motif inside and out is based on the city's symbolic colors, black and white. These colors come from the color of the horses of Senius and Aschius, sons of Remus. Senius, according to legend, founded Siena. Remus is of course one of the famous feral twins, Romulus and Remus. In fact, all around Siena, the she-wolf with suckling children is a recurrent theme. The Museo dell’Opera holds many items related to the Duomo such as original statues, the stained glassed window from the main façade, paintings, textiles, and reliquaries. No, it isn’t a museum about opera as I read in one traveler’s review on virtualtourist dot com. (Jeez) Opera is “work” as in architectural or art work. Almost everyone who visits the Museo dell’Opera heads straight for the “Facciatone” – the big façade which you can climb for a nice view of the town. The Facciatone was supposed to be the façade for a huge extension of the church which was never completed. It doesn’t get you as high as the Torre del Mangia, but it is a bit more appealing view-wise. The Cripta is the original church (pre 1200) which the current structure was built on. It was backfilled with rubble when the current church was built. Only recently did they excavate it and open it up for viewing. The Battistero was probably the least interesting piece (for us) but it completes the tour. We took the train to Siena today. We had both forgotten what a nice feel this town has, especially in contrast to Florence which doesn't have quite the same intimacy. Of course being the frustrated, earth-bound creatures we are, we sought out the high spot: the tower. A combined ticket of 6 Euros each got us into the tower (Torre del Mangia) and the civic museum. The tower of course is fun to climb if you don’t mind heights. At the top you are rewarded with great views of the town and the country-side. There are a number of narrow steps and it can feel claustrophobic as you climb so beware. The civic museum is part of the town hall (Palazzo Pubblico). We even caught a wedding party coming in for a ceremony. (Odd, the bridesmaids sang a song to the tune of “For He’s a Jolly Good Fellow” but with the lyric “Lei è brava ragazza….”? – she is a good girl.) The civic museum is notable for the frescoes its various rooms. The frescoes are unusual because they depict secular subjects rather than religious subjects. Some in particular that stood out was the Risorgimento frescoes. Orsanmichele means the “kitchen garden of St. Michael” and after the garden many different things occupied the spot. Today is rather noticeable (at least to my eye) for its very square and fortress-like look. 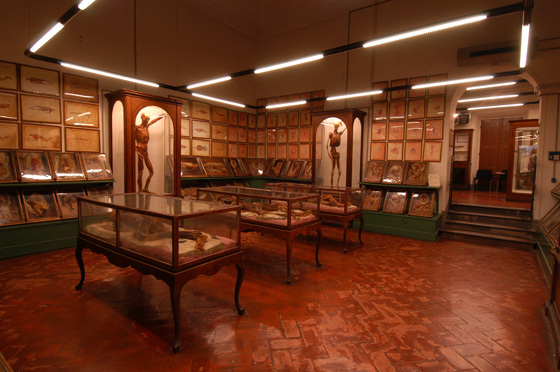 We went back to the Museo di Storia Naturale Zoologia ‘La Specola’ and picked up where we left off last time. In the previous post I was a bit negative about the lady who shooshed us out of the museum. Well this time she was there again and when we walked in we said “ritorniamo” – we’ve returned – with a devilish smile. She smiled and let us in for free! We continued from room 14 onwards and to be truthful, still didn’t finish. (We only saw half of the wax models.) The real stars this time were the birds. Incredible displays of birds – almost too much to take in. The picture above is from room 19, the “Grandi Ucelli” – big birds. It’s incredible to think that the diversity displayed in this museum is just a sliver of a sliver. I’m sure all our audience is dying to know what New Year’s Eve was like here in Florence. Right? First of all, the dinner on the 31st is typically called the “cenone” – literally, big dinner. New Year’s Eve is called “La Festa di San Silvestro” – which as far as we can tell is named in honor of Papa Silvestro I – elected on the 31st of December in 314? January 1st is called “Capodanno” – literally, head of the year: “capo d’anno”. In Florence, many Piazzas put on some form of free public entertainment. ( Of course there are places you can pay to sit and have a nice dinner and entertainment as well.) It seems like folks just wander around the streets going between the different venues. We passed by Santo Spirito around 11:15pm and there was a small crowd and live band. Then we wandered over to Santa Croce where there was a symphony. The symphony was up against the steps of the church and the crowd (standing) was pretty thick. However, the rest of the piazza was full of people (though as if by magic, the center of the piazza was left vacant for people to toss their fireworks into). To tell the truth, the amount of fireworks being tossed around and their intensity were a bit unnerving. That said, the streets were full of people young and old – the whole town was out – so it wasn’t like it was dangerous, just that we weren’t use to it. We ended up staking a section of rail on the Ponte alla Grazie bridge (one bridge east of Ponte Vecchio) and ringing in the new year there. From that point we could see fireworks from Piazza Michelangelo in the hills and other fireworks around the river. We weren’t alone, many people hung out along the river banks, especially near the Uffizi. There was no specific, city organized fireworks show. There didn’t need to be as folks seemed to have their own arsenals. When midnight came, corks were popped and champagne was flying (literally) everywhere. After it was all said and done, the streets were a mess with spent fireworks, champagne bottles, and other party things. The culture here seems to be to leave trash as is because it will be picked up. And sure enough, by the next day it was mostly all cleaned up – that’s the way things work around here. It’s a concept we have a hard time with. Previously we posted on the cat colony in Florence. Here’s the sign for the cat colony and photo of their living conditions. Pretty swanky if you are a cat on the street?